UK fibre rollout strategy – time to release the brakes? - Mentor Europe in the hearts of our biggest cities - where mobile networks are the most profitable. Mentor Europe > Blogs > 5G > UK fibre rollout strategy – time to release the brakes? We’ve been working on how to crack the twin challenges of 4G densification and 5G mobilisation in the hearts of our biggest cities – where mobile networks are the most profitable. On mobile, spectrum auctions have carried rollout obligations – the latest being one for 700MHz. A phone call with a one-bar signal – standing on a wheelie bin at the end of your garden – doesn’t cut it for todays’ smart phone users. What they need is decent 4G coverage and, as 5G rolls out, plenty of that too. Spectrum – a magic bullet? What if the operator with the poorest coverage wins it? Won’t that just increase the 66% number – and leave the 9% ‘wasteland’ untouched? We understand Ofcom’s approach – but it has fallen well short of solving the rural issue, so far. The Government has set aside £200m for a Rural Gigabit Connectivity (RGC) Programme to drive and encourage independent fibre investment in rural areas – including using public buildings as local fibre hubs. This new fibre must support Mobile masts and Full Fibre broadband – so make ‘Mobile-Centric Fibre’ work for rural – and exploit our old friend DPA as a key enabler. When you think about it, if you had a choice of using mobile or fixed technology, you’d use mobile. Anyone in the area could then use the service – not just the lucky residents in their living rooms. 5G is not going to dramatically increase capacity – since its innovations are focussed on Urban. Build an Active Neutral Host Mobile Network – and either encourage or force the Mobile operators to roam onto it – perhaps as a condition of buying the rest of the 700MHz and/or the 3.4-3.8GHz 5G spectrum. Let’s just focus on the main problem – and crush it. ‘Inside-Out’ has been hugely successful for UK Mobile and Broadband – but it won’t solve the misery of rural telecoms deprivation. Our fascination with the rural telecoms issue has been instructive. 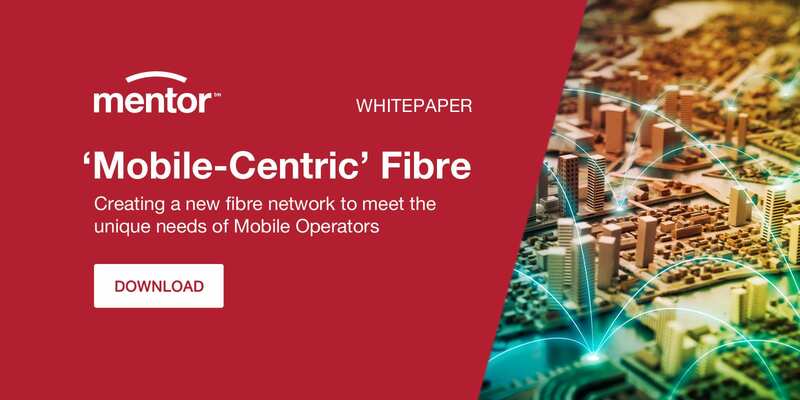 Mentor’s ‘Mobile-Centric Fibre’ Approach – designed for dense urban – has surprised us by demonstrating a clear relevance at the opposite end of the demographic spectrum. Taking everything into account, it’s hard not to conclude that the best chance of achieving mobile-parity between the cities and rural areas is to build an Active Neutral Host ‘Mobile Centric’ Network – from the ‘Outside-In’.